This was a quote from an El Salvadorian woman who joined the ICM-USA team to do some work in Kitale, Kenya. She has lived in the US for twenty years and joined our workshop for the Anglican Church of Kenya (ACK) on Friday morning. She was amazed by this message which had eluded her in the church. It’s amazing to see how God weaves His people together from different walks of life, in different parts of the world! 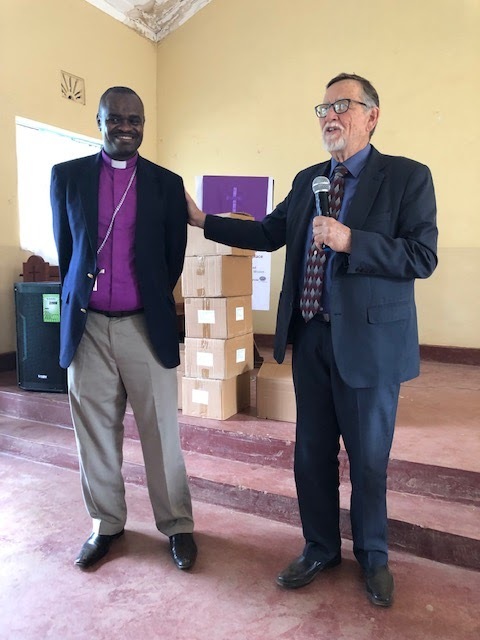 Bishop Chemengich gave the Commencement Address at the ATS graduation on Saturday and he said a few things that I would like to reference here. He reminded the graduates that the first person they must lead is themselves, and that requires self-discipline. He defined “self-discipline” as doing what you NEED to do even when you don’t WANT to do it. He reminded us that most marriages, pastors, leaders, businesses, etc, fail mostly because of a lack of self-discipline than any other issue. It is critical that we learn this. He reminded us that having a good start (good education, a loving family, etc) helps, but a good finish is dependent on self-discipline. To have a good finish takes courage, and he reminded us that you will never see courage in someone who is comfortable. To learn courage means you will be uncomfortable. This was a good message not only for the graduates but for all of us. 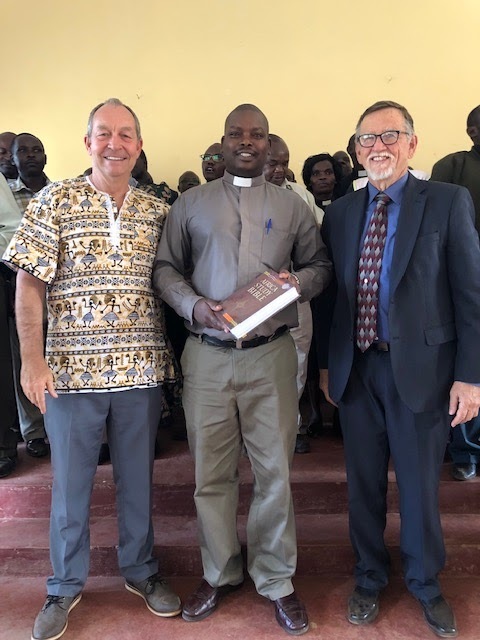 We also had the privilege of giving out Africa Study Bibles to all the priests in attendance from the ACK. Below we have some pictures of the Bibles being given out by Dr. Walker as well as Rev. Dave Champness (President of ICM-USA). Again, we are so thankful to those of you who donated to this! Allowing people to study the Word with notes that were designed for their context is of great importance. Not having that is like people from North America reading a Study Bible that was designed for China. It doesn’t really fit. We pray that this Bible will be a blessing to those who have received it! We are now in Ethiopia. We start by teaching at the Evangelical Theological College, and then will go into a training of trainers for DML, followed by some workshops. Thank you for your prayers!